Something we’ve been pining for here in the Catskill Mountains is Asian food. There’s precious little of it around these parts, but now we have something really wonderful. 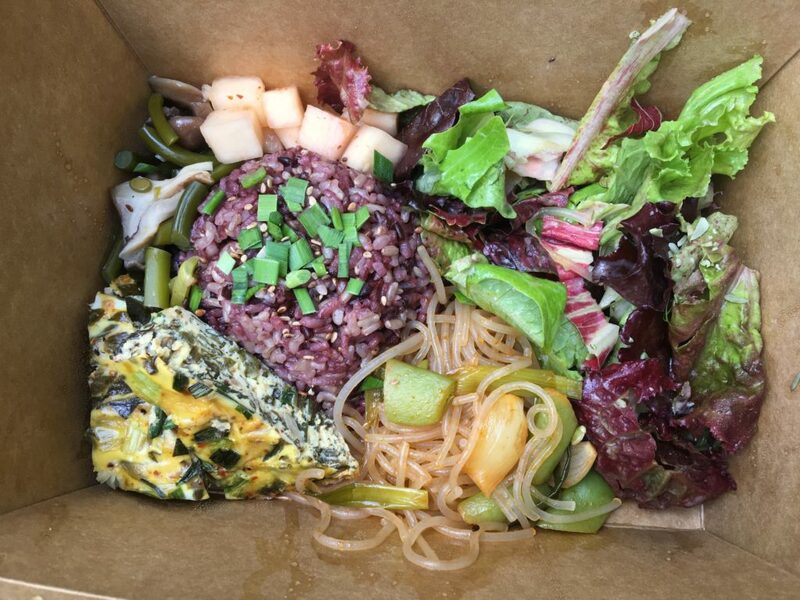 Kimchee Harvest Kitchen in Roxbury, New York serves Korean food that is delicious, and local. 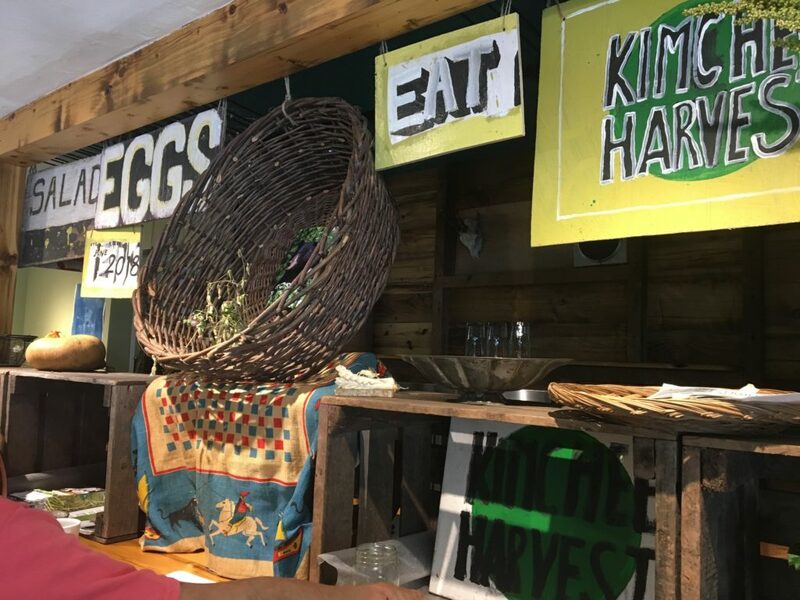 The produce featured on the menu is grown by owner, farmer Madalyn Warren on her farm East Branch Farms on Route 30 in Roxbury, whose speciality is kimchee made with a variety of locally grown and foraged vegetables like dandelion, radish, rhubarb, garlic scape or cabbage. Madalyn’s mother is from Pusan, Korea and they make the kimchee together. The meat on the menu is sourced from other local farms. 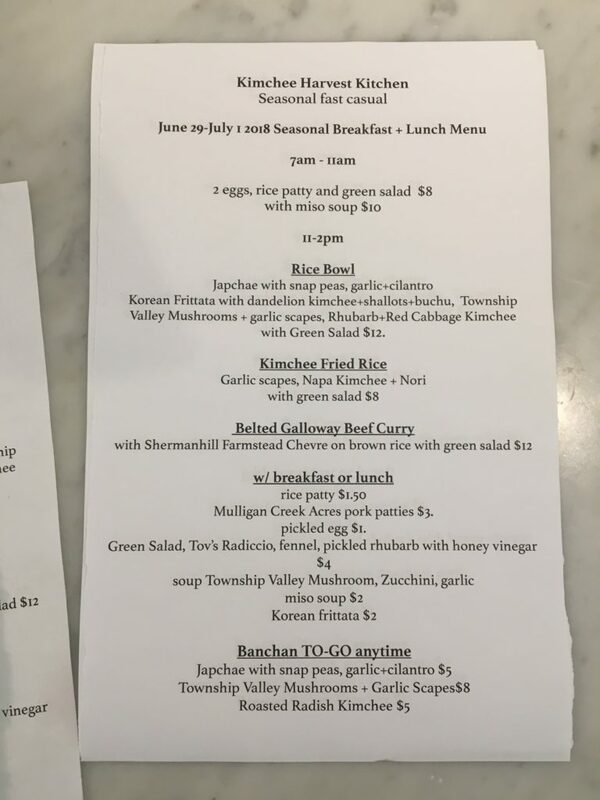 Kimchee Kitchen is in the former coffee shop next door to Roxbury Wines & Spirits on Route 30 in Roxbury and there is plenty of outdoor seating both in the back (in a screened-in deck) and in the front (on a long, shaded porch), making for a local, jovial, canteen-style atmosphere. You can also sit inside and watch the cook work. It’s a roomy, bright place to hang for lunch with friends – or on your own at the bar – ordering multiple small plates off the menu of what Madalyn describes as “seasonal, fast, casual”. Go early morning, grab a chair on the porch and eat breakfast with local herb tea. Absolutely delicious, flavorful and delicately spiced, the food is also incredibly light and fresh, not heavy on the stomach. 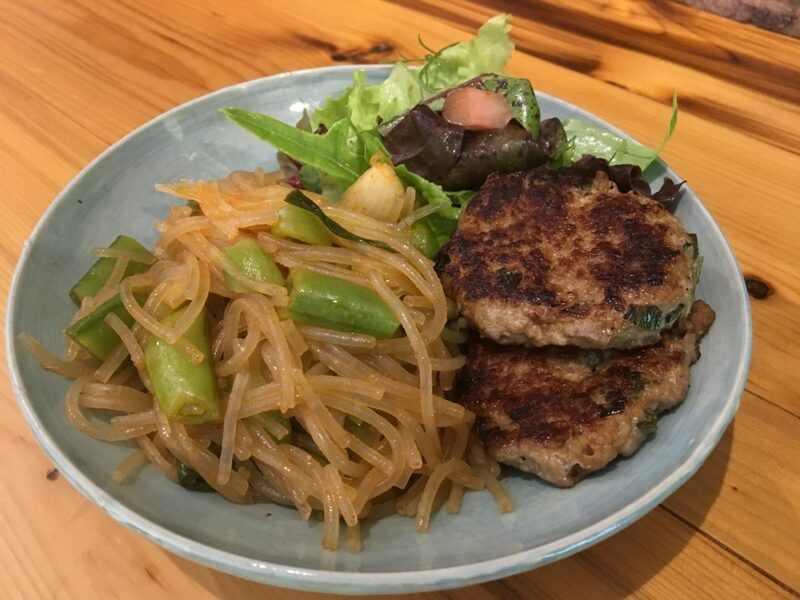 The pork patties are luscious and filling, but not greasy, going well with a side of spiced rice noodles. The Korean frittata is moist and subtly seasoned and served in little bite-sized pieces. Local sweets, herb tea and coffee also available. Opening times, 7am to 2pm, Friday Saturday Sundays. Our new go-to lunch spot.